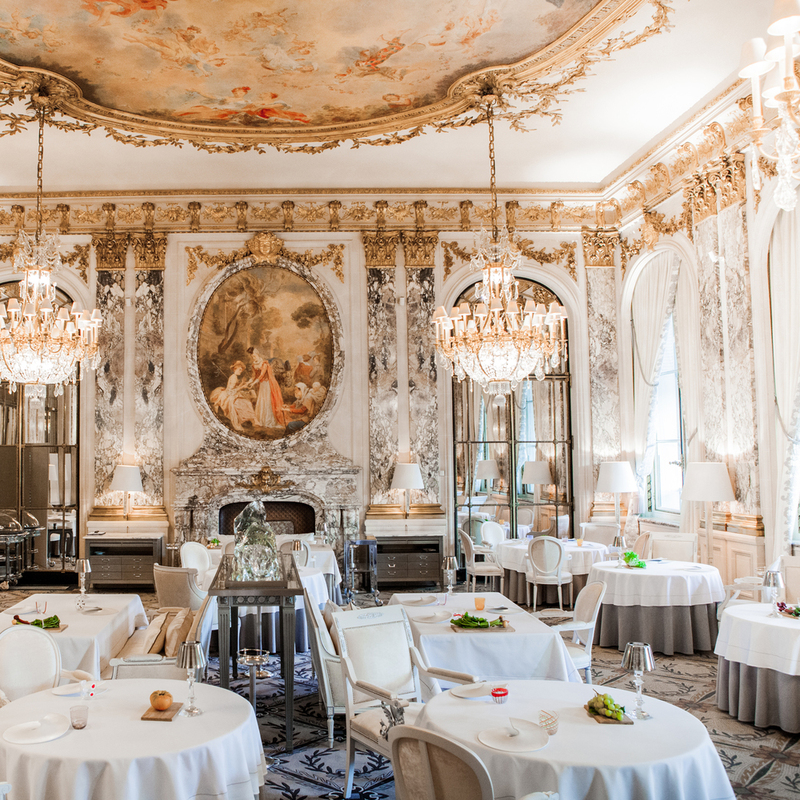 Restaurant: Celebrating its 180th anniversary, Le Meurice has earned its rank among the world’s most elegant hotels. Combining 18th century opulence and contemporary chic, the Le Meurice Hotel echoes a French palace with modern amenities. It sits between Place de la Concorde and the Louvre and houses a stunning restaurant of the same name. The dining room, inspired by the Salon de la Paix at the Château de Versailles, features marble, frescoes, antique mirrors, crystal chandeliers, and large windows overlooking the beautiful Jardin des Tuileries. 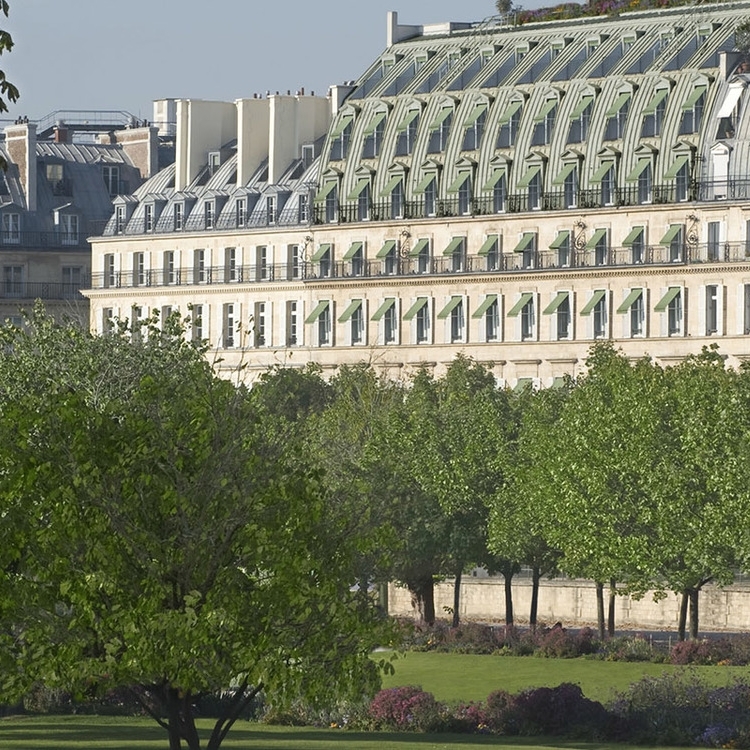 Restaurant Le Meurice serves contemporary French haute cuisine worthy of its three Michelin Stars. With its rich and very long history in Paris, the restaurant has hosted countless notables, including Edmond Rostand, Salvador Dali, Coco Chanel, Ernest Hemingway, Andy Warhol, and many more. Executive Chef: While world-renowned chef Alain Ducasse oversees all hotel dining, Christophe Saintagne is Le Meurice’s Executive Chef. Born in Normandy, Saintagne spent his early career at restaurants Auberge du Vieux Logis, Amphyclés and the Elysée Palace. Before assuming his current leadership at Le Meurice, Saintagne cooked for many additional notable establishments. He worked at 59 Poincaré, then at the Plaza Athénée. In 2002, he became Head Chef at the Parisian restaurant Aux Lyonnais. Between 2005 and 2008, he acted as Sous-Chef at the Hôtel de Crillon. He returned to Alain Ducasse in 2009, contributing to Ducasse’ book, Nature, Simple, Healthy and Good published that same year. He became Alain Ducasse’ Executive Chef at the Plaza Athénée and then Executive Chef for the restaurant Le Meurice. Butter: Waiters serve discs of salted and an unsalted Pascal Sutra butter, this butter is made exclusively with milk from Normandy cows. The cows graze in the meadow and eat less than 20% of extra dry complement food "because good cows and good milk make the best butter." Says Pascal Sutra Fourcade. 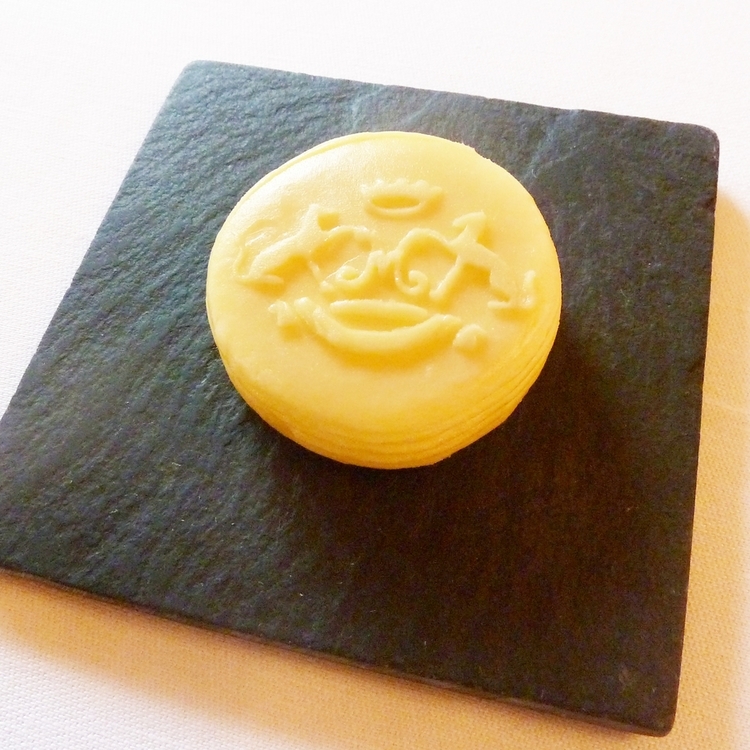 The butter discs are embossed with the Le Meurice logo. Magnifique!